The Polytrol case studies are coming in thick and fast now – word is getting out about how easy it is to use and the great results you can achieve. 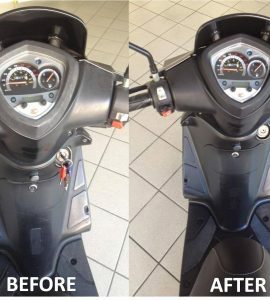 Today we’re sharing a moped makeover with some impressive results. 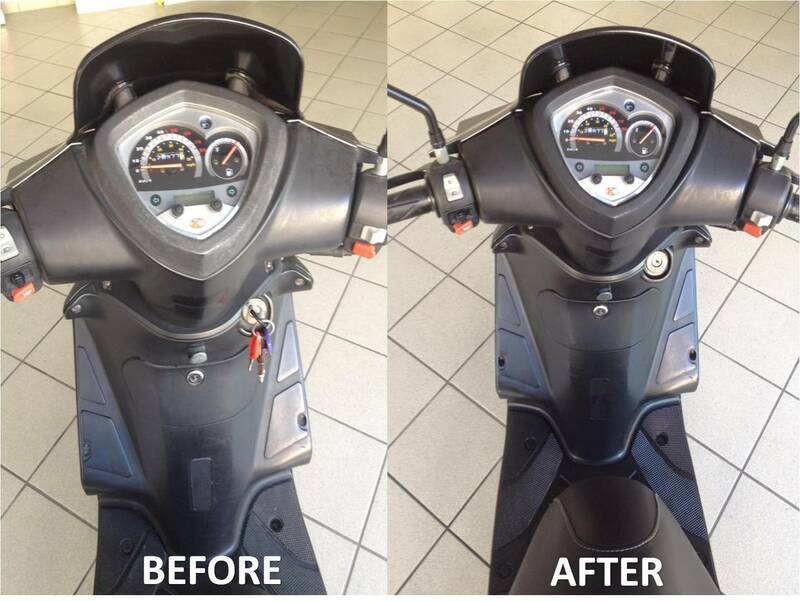 To achieve this finish the customer first cleaned the surfaces with soap and water and allowed them to dry. they then applied Polytrol generously with a cloth (you can also use a brush) and left it to work for 20 minutes. After this time they wiped off the excess with a lint-free cloth and left it to dry. You can see the impressive results below. Polytrol is a colour restorer which brings out the color on faded plastics, fiberglass, metal, paint, tiles, etc. It also restores the shine to surfaces which have dulled due to exposure to sunlight, rain and pollution by penetrating the surface and re-wetting the pigments. When used on tarnished metals, Polytrol brings back the shine and gives long-term protection against corrosion. 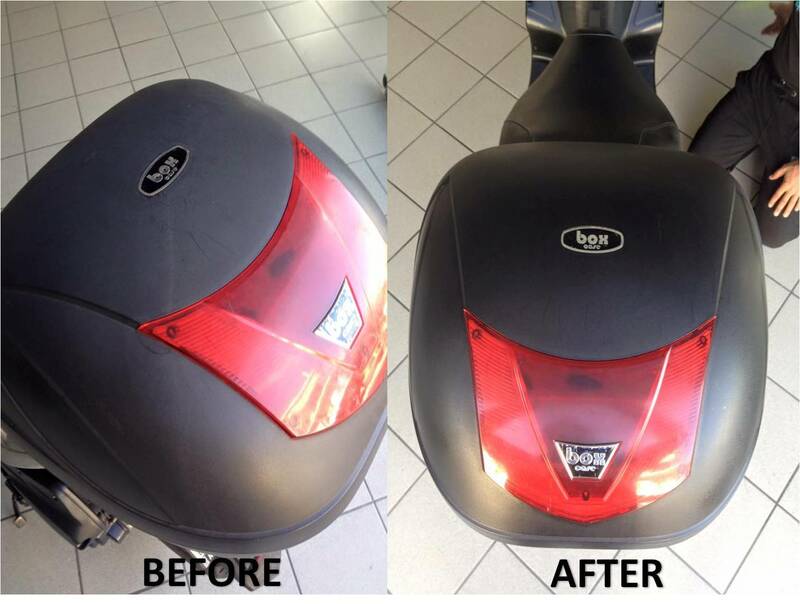 All said, it’s a pretty smart bit of kit that can make a real difference to a whole range of dulled surfaces with pretty minimal effort – a win in our books!